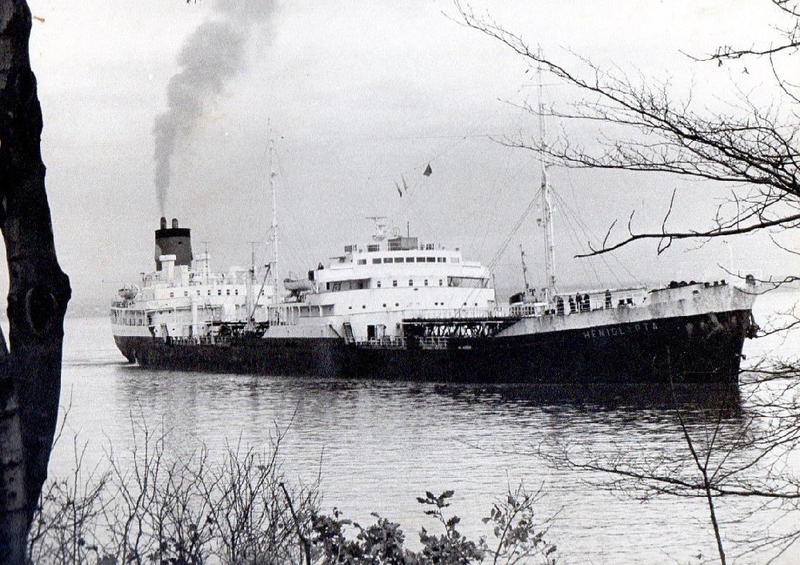 Completed 1955 as Hemiglypta for STUK. 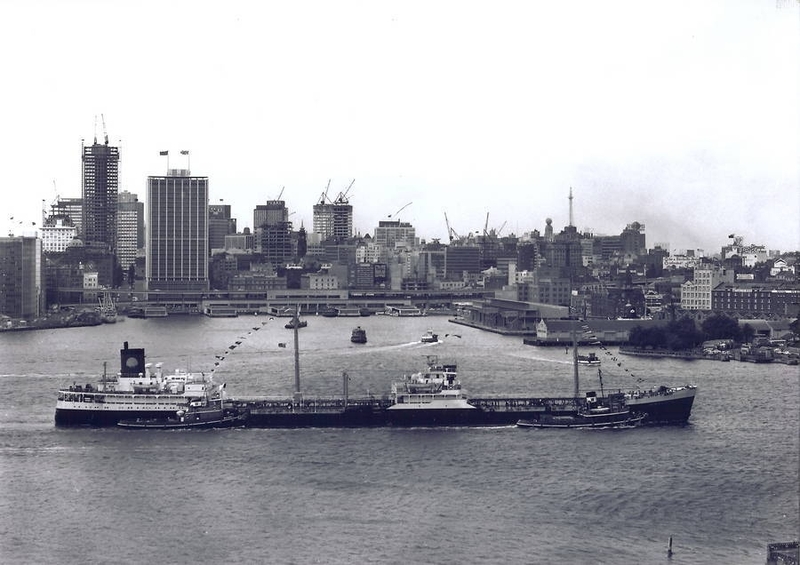 1964-1972 operated for Shell Australia. 22-7-1975 arrived Kaohsiung for scrapping. I was a 5th engineer. This was the hardest worked 8 months of my life by far. The following are typical of what occurred so often in that time. 1) Leaving Balikpapan the Generator tripped. We shut down the engines as fast as we could. As soon as the luboil pump was going again, a senior person started up the main engines without the usual checks and had to shut down again immediately as plumes of smoke arose from the main bearings. There followed 3 weeks of rotor lifting, bearing scraping and other maintenance in 60deg C, on a 13 on / 11 off 24/7 routine. 2)Another time the main condenser Shipside 20" valve rubber bellows burst pouring hundreds of gallons per minute into the engine room. Typical of this ship's lack of maintenance planning, the valve had not been moved in months, possibly years. After my mate and I gained a hernia and a torn muscles for we finally closed it with sea water above the plates up to our ankles. 3)From my cabin I heard an awful explosion coming from the engine room. The nearest engine room w/t door handle was too hot to open. I finally entered the engine room via the steering flat. A sootblower steam pipe (500degC and 500psi) had burst and the noise was indescribable. The second engineer, risking his life, climbed to the boiler top and somehow closed the main stop valve. the M.N. training school in Sharpness, Gloucestershire. I had never been very far from home other than a trip from my home in Liverpool to the Isle Of Man. Apart from this my 'seagoing experience' consisted of crossing the river Mersey on a ferry boat! Nevertheless, I enjoyed my time on the Hemiglypta as she was a good ship with single cabins and even a swimming pool on the aft upper deck! Happy days. I would be pleased to hear from any other ex-crew members who may have been on board around this time. The crew had been invited to a party,by a middle aged "Lady",and her friends, at an old house close to town in Melbourne.The party was in full swing,when two firemen decided they both wanted to take the same"Lady" to bed,after much pushing and shoving,JOCK turned to me,and after removing his glass eye said "Here hold this while I sort this B****** out".After I calmed them both down I think they decided they didn't want her anyway. 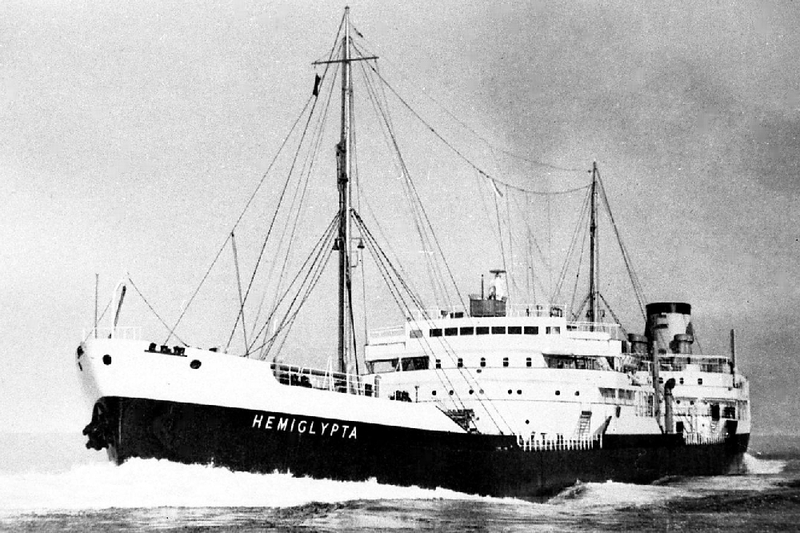 Have you sailed on Hemiglypta? Log in and add yourself as a sailor to the Hemiglypta! Log in and add your personal story to the Hemiglypta!